Let our 30+ years of experience help you achieve peace of mind! The St. Augustine Probate Lawyer, is a law firm with a Florida lawyer, attorney, and paralegals, who provide legal services in Northeast Florida, including St. Augustine, Ponte Vedra Beach, and St. Johns County. 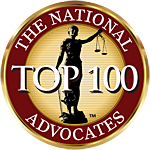 The firm's practice is limited to the areas of law practice including Florida estate planning, Florida wills and trusts, Florida elder law and Medicaid planning, wealth preservation and asset protection planning, Florida probate and trust administration, Florida probate litigation and trust litigation, business succession planning, small business entity selection and formation, charitable planning. To contact a St. Augustine probate lawyer or estate planning attorney for questions about your St. Augustine or St. Johns County probate or Florida wills and trusts, call us toll free at 866-510-9099, or email us at Info@TheStSugustineProbateLawyer.com. reasonably possible, at the least costs of time and money for you. Our experienced probate lawyers and attorneys provide you with information about the status of your probate, regardless of the type of probate that is involved. Whether formal administration, summary administration or ancillary probate, we have experienced literally hundreds of probates over the last 30+ years. We will appreciate the opportunity to work with you to ensure your probate is completed promptly and efficiently, at the lowest cost to you. If you need a Florida probate lawyer to assist you with a probate estate in St. Augustine, or St. Johns County, Florida, please call us toll free at 866-510-9099, or email us at Info@TheStAugustineProbateLawyer.com. We believe the proper definition of estate planning is to control your assets while you are alive, protect your assets for the benefit of your family and loved ones, provide for the management of your assets and your own personal care in the event of an incapacity, and to see that upon death your assets pass to the people you want to receive them, in the manner that you want, at the time you want, at the least possible cost for taxes and professional fees. The mission of the St. Augustine and Ponte Vedra Beach estate planning, probate and elder law lawyers and attorneys at The Coleman Law Firm, PLLC is to strive for our clients to achieve their estate planning goals and objectives consistent with that definition of estate planning. We implement that mission by engaging our St. Augustine clients in comprehensive estate planning where our first objective is to gain a full understanding of each client’s needs, desires, goals, and objectives, as well as their fears and concerns, as it relates to their family and their estate planning. Our focus is not exclusively on the passage of wealth at death, but includes consideration of lifetime needs and concerns to plan for incapacity, for long term care, and for protecting assets during life so the value and benefit of the assets you have accumulated are for you, your family, and loved ones. We initiate our professional relationship with our St. Augustine clients by seeking to understand your circumstances, your family members, and your estate planning goals and objectives, as well as your fears and concerns. We want to know about your family members, their strengths, their weaknesses, their talents and their needs. Only by truly understanding the dynamics of your family can we then identify and help you understand the various options that are available to deal with the specific circumstances that are unique to you and your family. After we have gained an understanding of your needs and desires, and you have gained an understanding of the advantages and disadvantages of the various options and alternatives available for your use to achieve your goals and objectives, and deal with your fears and concerns, we then, together with you, design a plan that is specifically tailored to help you accomplish the purposes for which you initiated the estate planning process. Our estate planning process begins with an examination of each of our St. Augustine client’s needs for advance directives that are appropriate for them and their circumstances. From there we proceed to evaluate their needs for incapacity and for long term care planning. We examine tax issues, both income taxes and estate taxes. We then develop a blue print for the wills and trusts that will be needed to accomplish the efficient transfer of wealth at death, and protect your assets for your use and benefit during your life. At each stage of the planning process we are always cognizant of the tax implications of every aspect of the plan, as well as the asset protection elements of every plan. There is little benefit to having a great estate plan, if all of the assets can be lost to third parties because the assets were not properly titled or structured to legally protect them against third party claims. We look at the opportunities to provide long term asset protection to the next generation, or successive generations, as well as generational planning to minimize taxes through successive generations where that is appropriate. We help our clients evaluate options for charitable planning from the perspective of income tax savings, as well as major philanthropy through private foundation, donor advised funds, or supporting organizations. Our documents are designed to achieve all of the objectives that have been incorporated into each client’s estate plan. Each document is tailored to the specific requirements of the client’s unique circumstances. The wills and trusts documents that we prepare for our St. Augustine clients are so unique to you that we copyright each one of them. If you need to plan for your potential incapacity, for long term care, for asset protection, for income and estate tax savings, for wills and trusts, please contact the St. Augustine and Ponte Vedra Beach probate and estate planning attorneys at The Coleman Law Firm, PLLC, by phone at 904-448-1969, toll free at 866-510-9099, or email us at Info@TheStAugustineProbateLawyer.com, so that we can help you design and implement a plan that meets your unique needs. We also assist those St. Augustine families who have children with special needs so that their care can include the benefits of a Special Needs Trust, without jeopardizing their eligibility for public benefits. In the following paragraphs, we will discuss briefly each of the major topics covered in our website. There is a more detailed discussion of each topic on the pages that follow. You may want to start by reviewing the breadth of coverage found in our Estate Planning – Frequently Asked Questions section, or view one of our slide presentations on the use of trusts to avoid probate, charitable planning, or other estate planning issues. Thank you for visiting with us and if you have any questions or we can provide you additional information, please be sure to let us know by calling us toll free at 866-510-9099, or by email at Info@TheStAugustineProbateLawyer.com. Advance directives include several different documents that are all designed to provide for some aspect of your care in the event of your absence or incapacity. The most common of these documents is the durable power of attorney, which is a document that allows you to designate the person or persons who you want to handle your business and financial affairs in the event of your absence or incapacity. You should expect your durable power of attorney to be drafted to deal with your specific circumstances. It should not be a one size fits all, cookie-cutter document. If both you and your spouse are in your first marriage, of long term duration, and you have one set of children, your durable power of attorney most likely should be different from the power of attorney for someone who is in their second or third marriage, as is their spouse, and you have children from a previous marriage, your spouse has children from a previous marriage, perhaps you have children together, and you want your assets to be available for your spouse’s support and comfort after your death, but your want your assets to go to your children after your spouse’s death. A power of attorney can include provisions to allow your attorney in fact change your will or trust, to change beneficiary designations on life insurance policies or retirement plans; or your power of attorney can exclude those provisions, and include others. Your power of attorney can be drafted to include provisions for providing for the care of pets, or for the operation of a business or farm, or any other specific circumstance you want covered. The more complete and specific a power of attorney is drafted, the more likely that it will serve the purpose you intended. As you review the related section of this website dealing with the Florida Power of Attorney, keep in mind that you have the right to a power of attorney that is designed to be as comprehensive or as narrow as you want it to be. Other advance directives in Florida include the Designation of Health Care Surrogate, the Declaration of Pre-Need Guardian, and the Living Will. Again, though there are statutory forms for each of these documents, your advance directive should be designed to accomplish your specific desires or deal with your unique concerns. Even the living will, made famous by the Terry Schiavo case, can be annotated to provide coverage of things that may be more important to you than to other people. In many, perhaps most cases, the statutory forms are satisfactory and sufficient. You have the right to insist that your documents are tailored to your needs. You can obtain a free Florida Living Will form from The Coleman Law Firm website. If we can assist you in providing your advance directives, or other estate planning needs, please contact us toll free at 866-510-9099 or by email at Info@TheStAugustineProbateLawyer.com. As discussed above with reference to advance directives, and even more so with wills and trusts, you should insist that your documents reflect the planning objectives you have and deal with all of the issues involved in your specifically designed estate plan. Your family, while it may share many characteristics with other families, is unique unto itself. Your estate plan should incorporate wills and trusts that effectively deal with the distinctive needs, goals, objectives, dreams, desires, fears and concerns that uniquely yours. There are two major distinctions between a will based estate plan and a revocable living trust based estate plan. If properly funded (meaning the transfer or re-titling of assets), the revocable trust (1) allows for more effective planning for the management of your estate in the event of your incapacity, and (2) allows one to avoid probate. A more detailed explanation of Wills in Florida is found in the section entitled Do You Have A Will. A discussion of the Revocable Living Trust in Florida is in the section bearing that same title. Both probate administration and trust administration are discussed more completely in separate sections of this website entitled Probate in Florida, and Trust Administration. There also is a more detailed discussion of Probate Litigation in Florida and Trust Litigation in Florida to further develop the comparison of using a will based plan or a trust based plan. Basic estate planning is focused on the use of a will or revocable living trust as the foundation of your estate plan. As you accumulate a larger estate, it is necessary to consider more sophisticated estate planning tools, both because of the potential impact of estate taxes, and the need to provide additional structure or control over the distribution of the estate. When more sophisticated planning is appropriate there are a number of different trusts and other techniques that may be appropriate for your estate planning portfolio. Various types of irrevocable trusts are available for consideration. These include, the irrevocable life insurance trust, the private annuity trust, the qualified personal residence trust, a Retirement Plan trust, Intentionally Defective Grantor Trust, Grantor Retained Annuity Trust, charitable remainder trust, charitable lead trust, and others that are used for specific purposes. If you need an estate planning attorney in St. Augustine or Ponte Vedra Beach, please call us toll free 866-510-9099. Other techniques that can be used where there is a need that may be unrelated to estate taxes or pure estate planning objectives. These include family limited partnerships, limited liability companies, self cancelling installment notes, beneficiary controlled trusts, domestic asset protection trusts, premarital agreements, post-marital agreements, shareholder’s buy-sell agreements, long term care contracts, personal care contracts, and many others. The important point to remember as you move through your estate planning process is that your plan should deal with your objectives, goals, desires, fears and concerns. It should be as individual as you and your family, so that your individual needs are appropriately addressed and dealt with effectively. What traits are important for finding an estate planning attorney? The firm’s founder, C. Randolph Coleman, has been a lawyer for over 30 years, is a frequent lecturer and nationally recognized speaker in the areas of estate planning, probate, financial planning, and asset protection. He authored, Diminished Capacity and Financial Exploitation of the Elderly - The Florida Elder Law Attorney’s Perspective, published by Public Investor Arbitration Bar Association, 24th Annual Meeting Continuing Legal Education Program (2015). He co-authored Asset Protection Techniques in Florida, National Business Institute (2004); and authored Family Limited Partnerships in Florida (Chapter: “The Use of Family Limited Partnerships in Estate Planning”), National Business Institute (2002); Key Issues in Estate Planning and Probate in Florida (Chapter: “Protecting the Passage of Wealth”), National Business Institute (1997); Advanced Estate Planning Techniques in Florida (Chapter: “The Use of Family Limited Partnerships in Estate Planning”) National Business Institute (1995). Mr. Coleman was the Director of Asset Protection Planning for the Florida Physicians Association from 1997 to 2006, and is a member of WealthCounsel, LLC and ElderCounsel, LLC. Mr. Coleman is a member of The Florida Bar, The American Bar Association, the National Association of Elder Law Attorneys, and the Academy of Florida Elder Law Attorneys. Mr. Coleman is a graduate of the University of Florida (BSBA ‘72) and the University of Florida College of Law (JD, with honors ‘78). He serves on the Executive Committee of the UF College of Law Alumni Council. He was a practicing certified public accountant for six years prior to entering private law practice in 1978. The Florida estate planning, asset protection, Florida probate, guardianship, Florida elder law and small business lawyers and attorneys with the Coleman Law Firm offer their services as Florida estate planning, Florida probate, Florida probate litigation, Florida trust litigation, Florida elder law, Medicaid planning, asset protection and guardianship lawyers and attorneys primarily in the Northeast Florida area including the following counties, towns, and cities: Duval County - Jacksonville, Jacksonville Beach, Atlantic Beach, Neptune Beach; St. Johns County - St. Augustine, Ponte Vedra Beach, Nocatee, St. Augustine Beach; Clay County - Orange Park, Middleburg, Green Cove Springs; Nassau County - Amelia Island, Fernandina Beach, Yulee, Callahan; Flagler County - Flagler Beach, Palm Coast, Bunnell; Baker County - Macclenney, Glen St. Mary; Putnam County - Palatka, Interlachen; Columbia County - Lake City, Fort White; and in other parts of Florida as requested or necessary. If you need a Florida probate lawyer in an area other than Northeast Florida, please call The Florida Probate Lawyer, toll free at 888-492-2468.